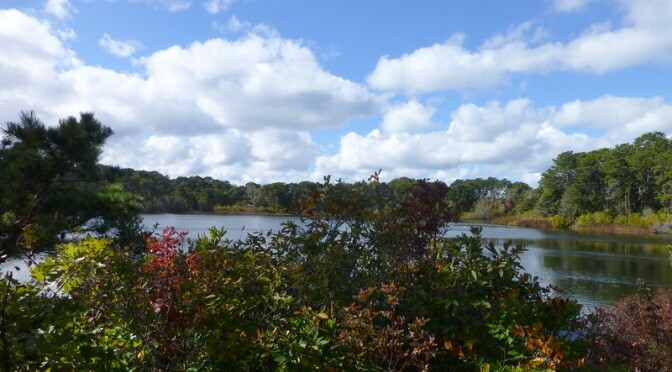 The pond at Wiley Park in Eastham on Cape Cod is just one of 365 freshwater kettle ponds on Cape Cod. Most of these are kettle ponds are formed when blocks of ice from the last glacier became imbedded or covered by outwash materials, leaving depressions that filled with fresh water when ground water rose to intersect them. This is just one of the many kettle ponds in this area of Cape Cod. Have you ever gone swimming in a kettle pond? 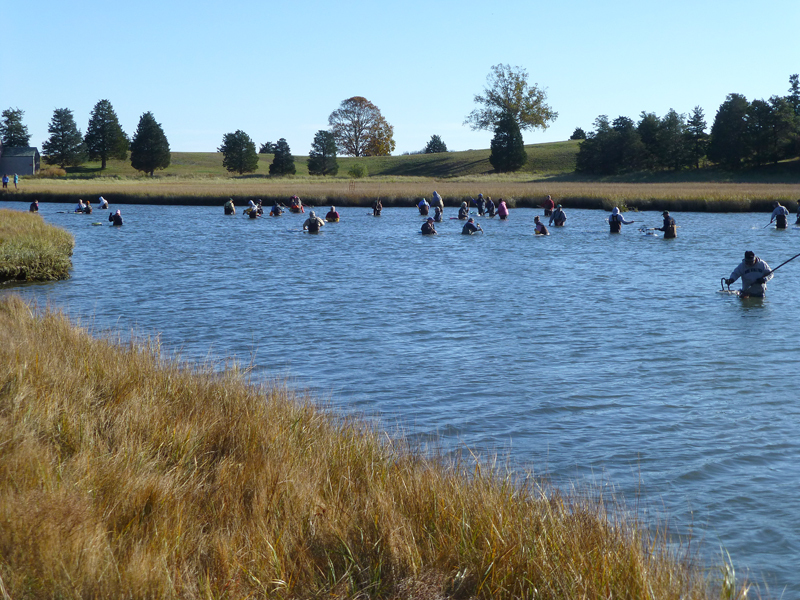 It was a gorgeous day to be out in the waters looking for oysters at Nauset Salt Pond in Eastham on Cape Cod. 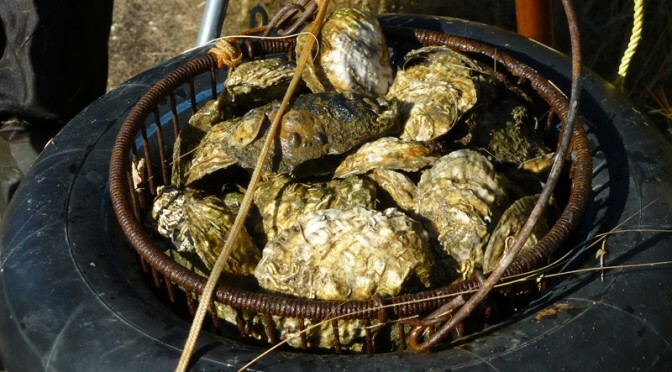 Last Sunday was called “Oyster Sunday,” which is the first of 6 Sundays in the fall that people can get a “Oyster” license and search for oysters in designated areas at Nauset Salt Pond. There were about 60 people in the water with waders, rakes and buckets. This one basket looks absolutely wonderful! It was a great day to go biking to Coast Guard Beach. The temperatures were in the 60s and the sun was shining brightly. 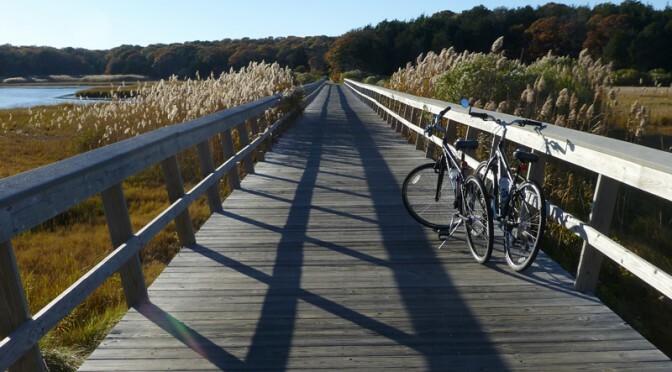 It’s so much fun to bike on the boardwalk over the marsh. The views are spectacular! Have you ever biked to Cost Guard Beach? 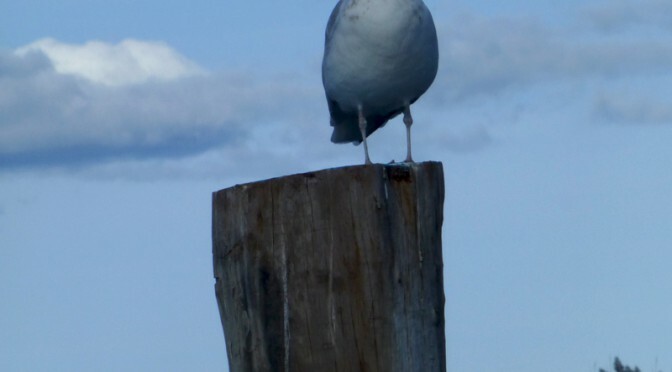 It was a gorgeous day when we went down to Rock Harbor in Orleans on Cape Cod. 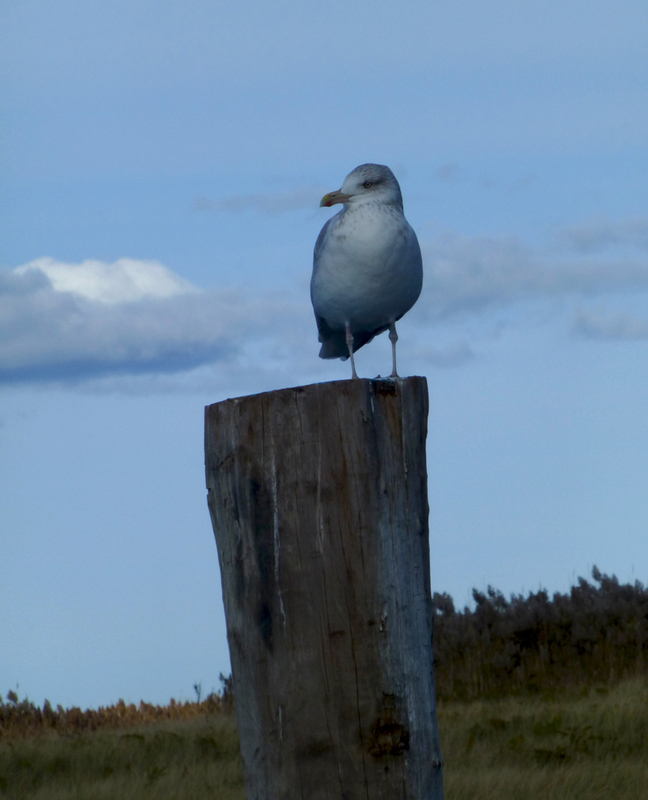 This Seagull was so content lazing up on the post. I loved this pose, what do you think? 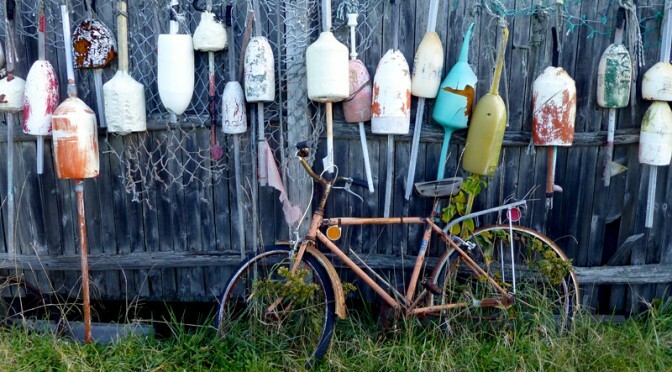 I loved these multi-colored buoys that were hung on the side of this fence. And then the old bike at the bottom made it look so retro. Pretty cool don’t you think? 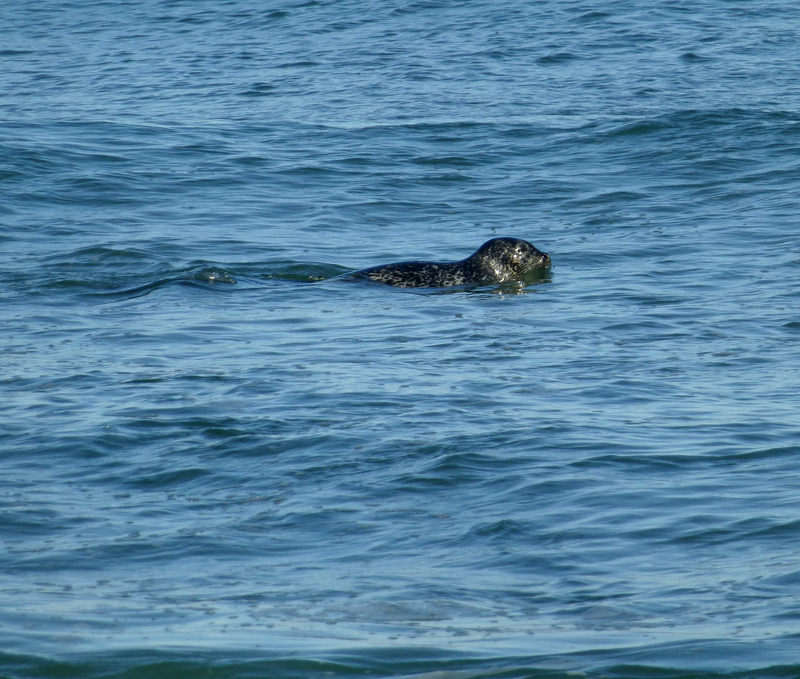 Yesterday was a gorgeous fall day with temperatures in the 60s when we saw these two Gray Seals playing in the waves at Coast Guard Beach in Eastham on Cape Cod. 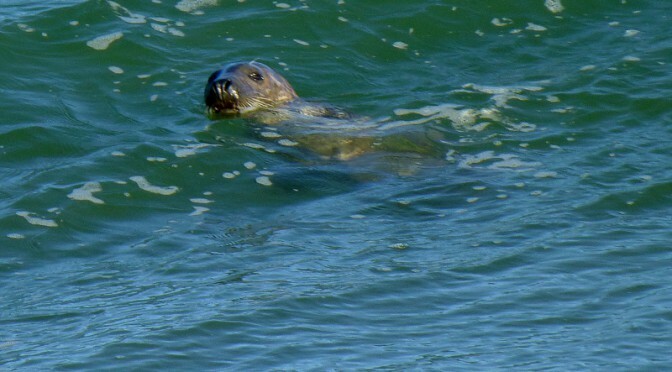 We stayed for quite a while as they entertained us with their surfing and swimming skills. Cute little guys, don’t you think?